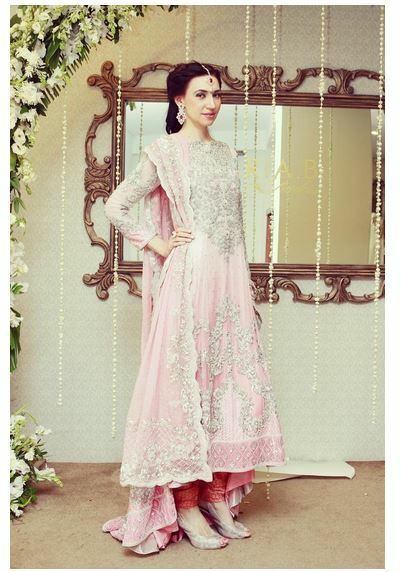 This entry was posted in Maria B on September 18, 2014 by admin. 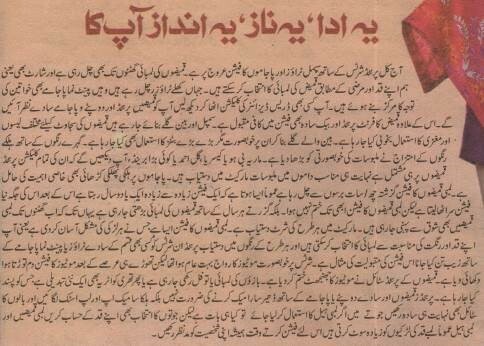 The leading Urdu language broadsheet mentioned MARIA.B. 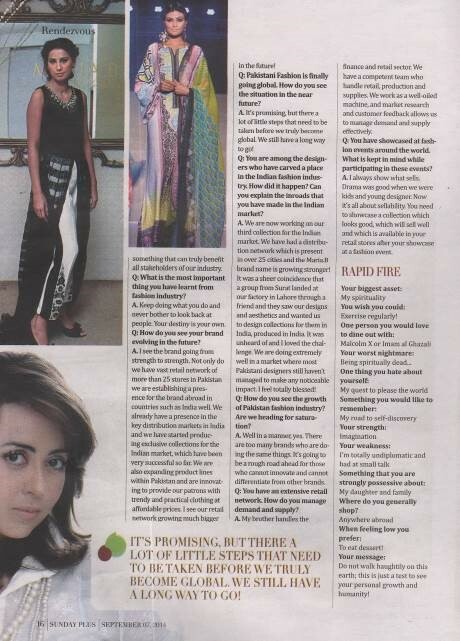 in a piece on summer fashion. 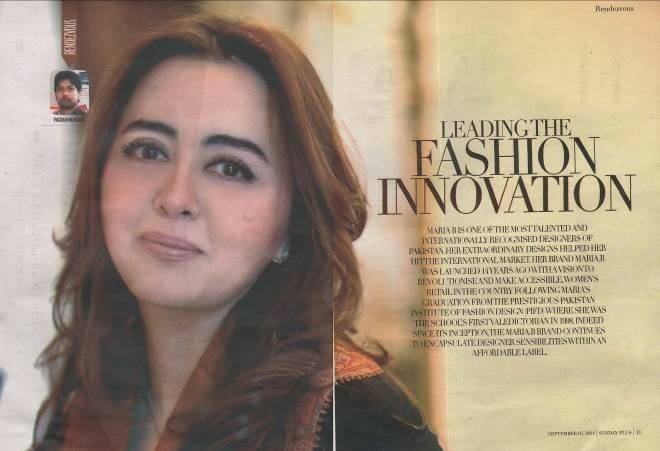 The Sunday magazine of the leading English language broadsheet featured an in-depth 5 page interview of designer Maria B. 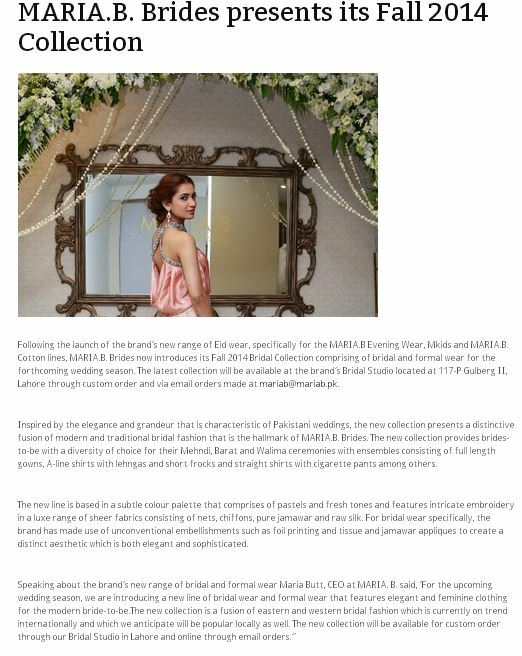 Editorial content was accompanied by profile images of Maria B. and images from the brand’s latest collection of Bridals. The interview was mentioned on the cover of the magazine, in its Editor’s notes and in the table of contents of the publication. 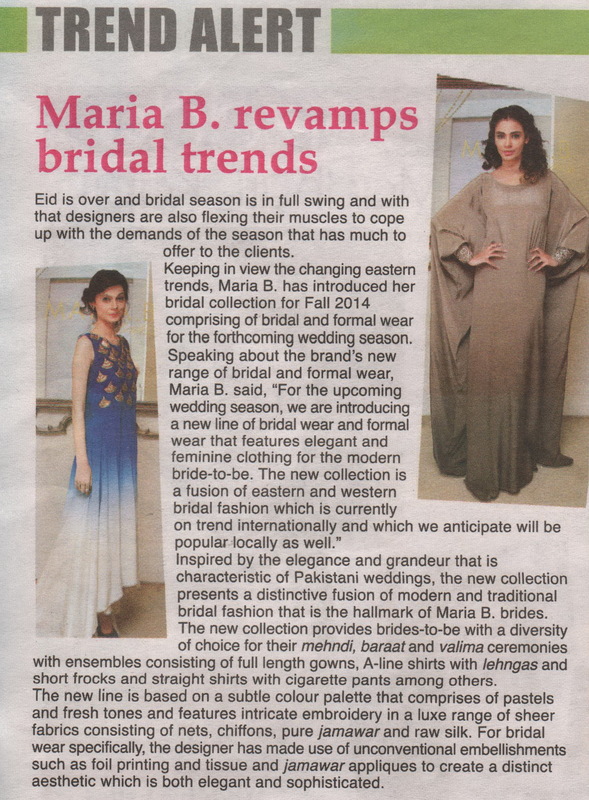 The online Life and Style section of the leading English language broadsheet mentioned MARIA.B. 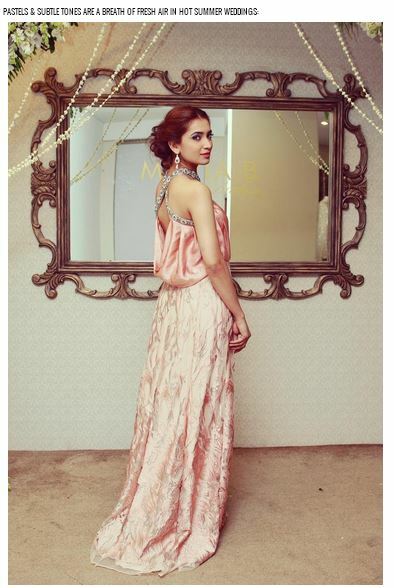 in a report on Pakistani designers who had undertaken different initiatives in India. 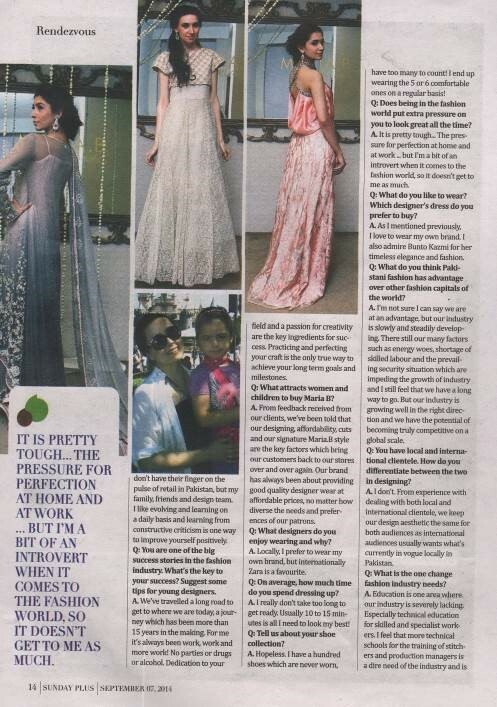 The Sunday magazine of the leading English language broadsheet featured designer Maria B. in its You, The Style Jury section. 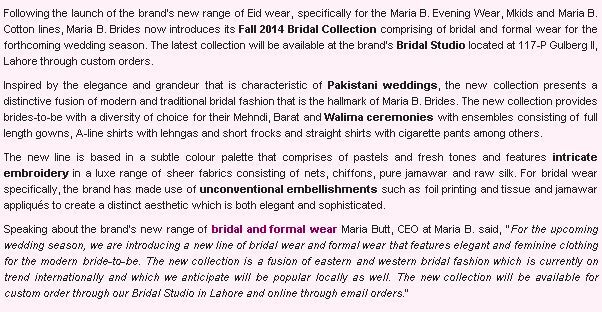 The Pakistani fashion, entertainment and lifestyle website posted the official press release announcing the new Fall collection of MARIA.B. 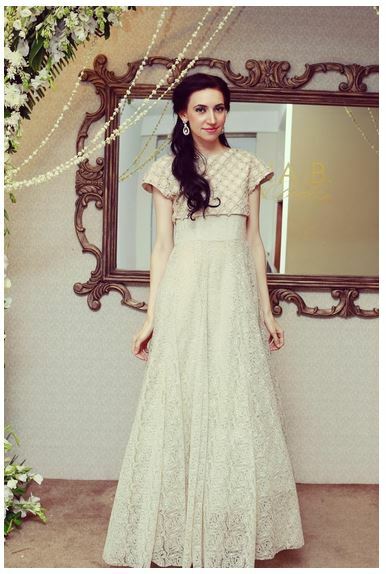 Brides. 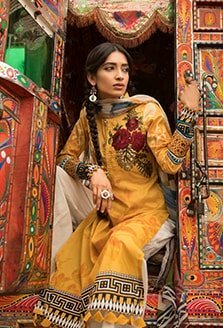 The leading Pakistani fashion, entertainment and lifestyle portal posted the official press release announcing the new Fall collection of MARIA.B. Brides. 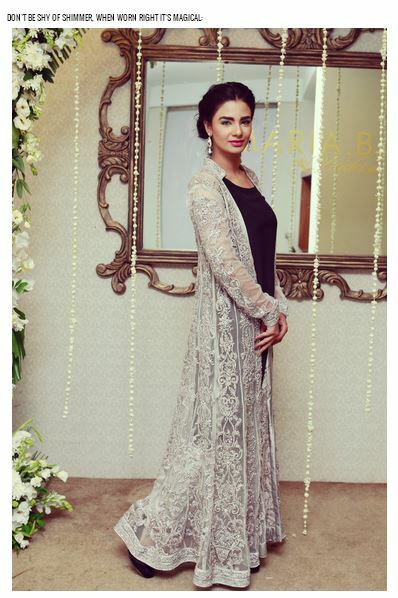 The leading Pakistani fashion blogger published an article regarding fashion tips for the upcoming bridal season which were accompanied by images from the MARIA.B. 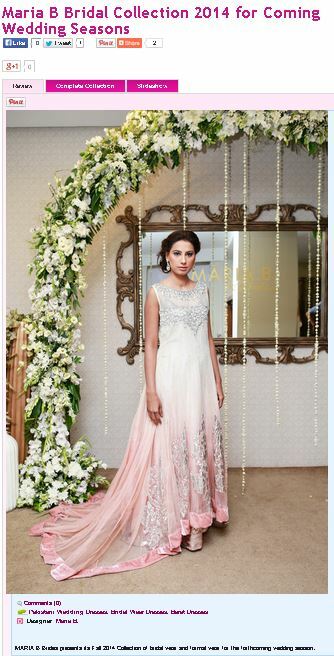 Brides Fall 2014 collection. 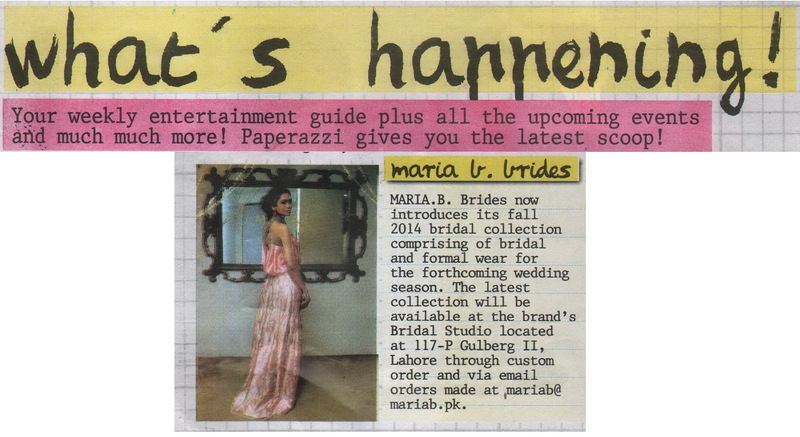 The leading weekly magazine of the leading English language broadsheet featured the new Bridals collection by MARIA.B.